This page describes how to download the Zoom app to your computer, login to the UW Zoom standard account, and login to the UW Zoom HIPAA account. 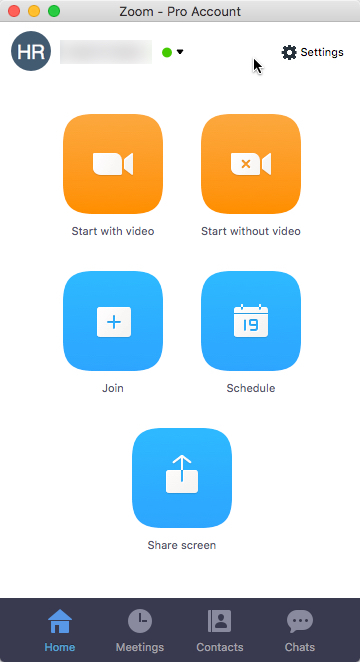 Once you have installed the Zoom app on your computer, you no longer have to log in via a web browser. Some users choose to install the Zoom app on a meeting room computer connected to a camera, microphone and monitor. 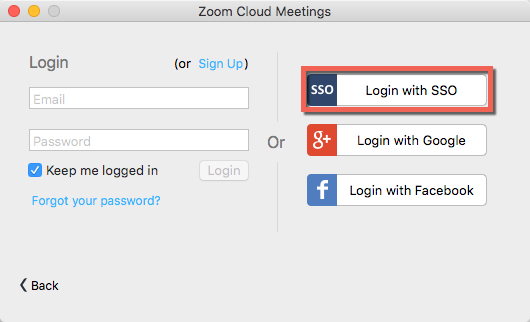 This allows you to save the password in Zoom and log in and launch the app when you turn on the computer. Anyone using the room for a meeting can then host a meeting with remote participants. To download the Zoom software, go to https://washington.zoom.us/download. Choose the first option on the page: Zoom Client for Meetings. Follow the steps in the Zoom download wizard. The following procedures show you how to log into a standard UW Zoom account and a HIPAA UW Zoom account. On your computer, open Zoom. 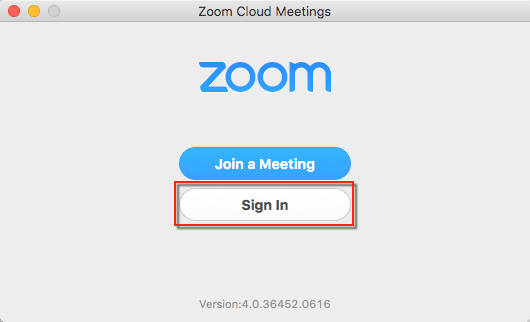 In the Zoom dialog box, click Sign In. In the sign in screen, click Login with SSO. 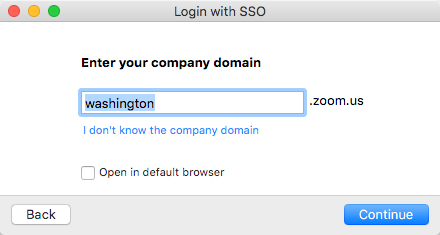 In the next screen, in the company domain field, enter washington and then click Continue. Next, your default browser will open and display the UW NetID login page. Your default browser opens with the UW NetID login page. Enter the UW NetID and password associated with your UW Zoom account. Zoom will open on your computer. 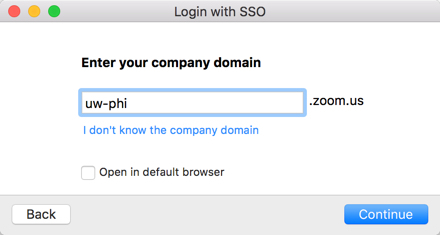 In the next screen, in the company domain field, enter uw-phi. Next, your default browser will open and display the UW NetID login page.